Amazon's Alexa powered devices finally revealed! Amazon is finally done with its latest event in Seattle introducing a bunch of Alexa powered devices. Now that the event is over let us tell you what Amazon has in store for us. Just as the leak predicted, Amazon introduced Echo Sub that you can stereo-pair with your other Echo devices. Echo Sub is specially designed to be paired with Echo devices so that the users can experience a much better sound giving a feel of a surround sound system. Echo Sub will cost $130 which is what makes it better than the pricey competitors in the market. Out of all of the other devices, people have been very excited about the Alexa powered microwave. Imagine how easy your life would be when Alexa tells you the dos and don’ts of cooking in a microwave oven. 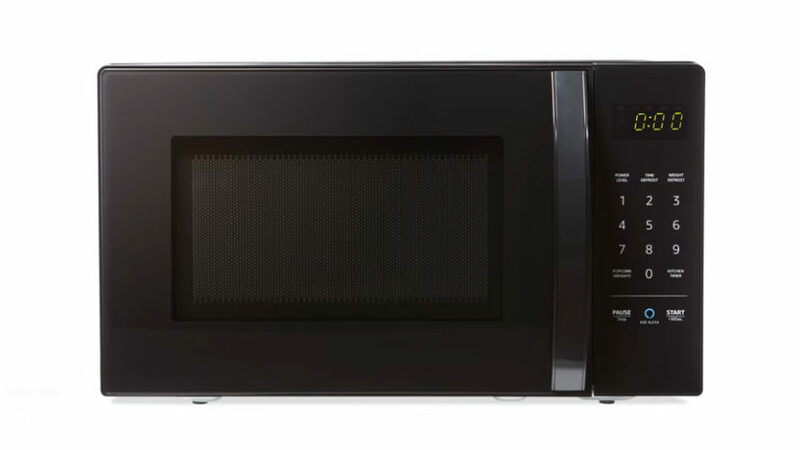 But before you raise your expectations, we’d like to break it to you that Amazon’s microwave is not a high-tech one (not nearly as close to the other high-end microwave ovens). It is a very basic microwave oven that has buttons as convenient as ‘popcorn’ that makes your popcorn just by pressing it. The microwave is priced at $60 which is very cheap. The microwave’s ‘Ask Alexa’ button is its highlight but that too when you have an Echo device paired with it. Otherwise, Alexa won’t work. Yes, we know what you’re thinking; we already have Echo dot. Amazon has improved Echo dot by redesigning it. The device looks even better with a new covering. Further, its driver has also been updated from 1.1 to 1.6. This offers a 75% louder sound than its older version. The Echo dot’s updated version costs exactly the same as its older version i.e., $50. Amazon’s Live recording Fire TV Recast lets you watch and record live TV. Its digital antenna allows you to view content wherever you might be. The only thing you need is to make sure that the antenna has a good reception and the paired Echo device is present near it. The users will be able to catch the frequencies of various TV channels using the digital antenna. This antenna is called ‘digital’ because it does not have any wires. The device is up for preorders at $230. Yes, your ultimate alarm clock is finally here. Amazon’s clock can be paired with any of your Alexa powered device that can set alarms and notify reminders to you. The clock is user-friendly as its interface is very easy to understand. You can set multiple timers simultaneously and the clock will notify you without missing a single one. The clock costs $30 which is a cheap buy. Echo Input is a slimmer version of the Echo dot. To put it simply, it is an Echo without a speaker integration. You can pair it with speakers and the good news is that the speakers don’t necessarily need to be Amazon’s Echo. The device offers two kinds of connectivities; Bluetooth and through a cable. With a range of new devices, Amazon also updated a few of its previous devices one of them being Echo Plus. Echo Plus is now capable of taking offline commands and has a brand new fabric design. Another feature that is added to this updated version is the temperature sensor. You can set the limit of the temperature and Alexa will notify you when it gets either too hot or too cold. The updated version comes at the same price i.e., $150. If you think that the above devices were all luxury items then you have got to check this one out. A smart plug that saves you from wasting electricity, how does that sound? The device is very handy and does not require any other device to work with. The smart plug is up for preorders at $25. It is your smart security camera that you can install anywhere inside or outside your home. Unlike other security cameras, it is powered by Alexa which gives it an edge as far as security is concerned. The camera costs about $180. This is one of those Amazon devices that we were anxiously awaiting an update on. The device has been redesigned and has a 10-inch screen. The device can be used for Skype-chatting and costs $229. This is one of the basic devices we all need to get our hands on. Amazon’s Echo for car is a car accessory that can make calls and turn on/off devices for you without requiring you to put on hands-free. Since it is a smart device, it can learn your routine and follow it without requiring your command. The device as a mapping service integrated into it and will help you with the directions. Amazon’s Alexa powered devices are more than what we expected. The devices are priced very reasonably. Although some of the devices are not high-end the Alexa integration makes them worth a buy. Let us know which one are you going to buy!